Perrysburg Tennis Center opened in December of 2008. 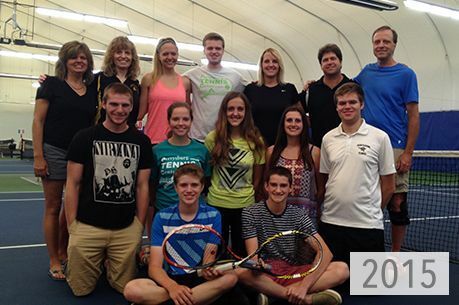 We are a state-of-the-art USTA facility serving the entire Northwestern Ohio community. Our professionally staffed, full-service tennis center offers the finest programs and facilities to members and the general public. Whether you're interested in group or private lessons, friendly Round Robins, sanctioned tournaments or USTA league tennis - PTCis the place for you! Our facility includes eight indoor US Open Blue hard courts and eight outdoor courts. Four of the outdoor courts are Hydro Har-Tru clay courts while the other four are US Open Blue hard courts. The major benefit of playing on these softer, gentler clay courts is that they are much easier on your body. We here at PTC are strong believers in introducing tennis to children at an early age. Our 10 and under tennis programs do just that. This program implements smaller racquets, smaller courts, shorter nets and lower-compression balls which make it easy for children as young as 4 or 5 to carry on a rally. Taught by an enthusiastic staff committed to your child's development, this program is sure to get your kid(s) excited about tennis! Our facility also features a pro shop offering the latest in racquets, strings, shoes, and accessories. We offer a 24-48 hour stringing service that will get you back out on the court fast! Our stringing professionals use only the best materials to ensure you get the maximum playability out of your racquet and strings. Our child care center is available for your child/children under 8 who need supervised quality care while you are playing tennis. Our pros are ready to provide the finest hands-on instruction for both novice and advanced players of all ages. 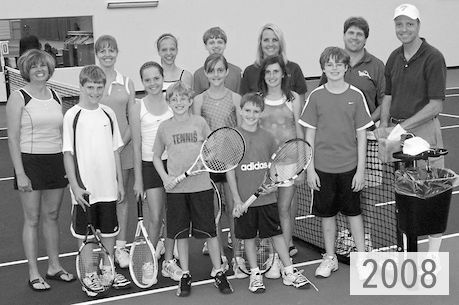 The goal of all of our tennis programs is to take every player's game to the next level by providing expert instruction, individualized attention, and supervised match play. If you are new to tennis, we will help you discover how enjoyable this great game can be. Our fun and health-conscious atmosphere will make it easy to learn the sport of a lifetime. So whether you are new to the sport or already ranked and looking for intense training, PTC is the place for you! See you on the courts!